The Best Wireless Headphones | Valet. Like it or not, the days of the headphone jack are probably limited. And that's fine. You don't need to be tethered to a device to get quality sound. A few years ago, Bluetooth-enabled headphones were unreliable and offered spotty sound. 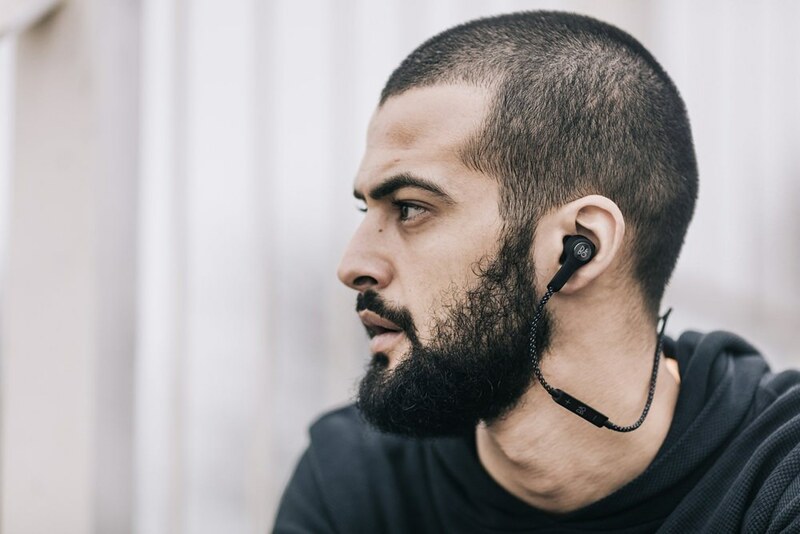 But these days, the technology has caught up with our wish-lists of features and you now have your choice of a wireless set or two completely wire-free buds which offer clear, consistent sound (and some even track your fitness for you). We tested a handful of the best buds on the market today to offer you some suggestions to suit your taste, needs and budget. Just make sure you hang on to them. We're not saying we lost any, but we may've come close once or twice. The newly updated Sport Pulse offers Dolby sound enhancement and a biometric built-in heart rate monitor inside the rugged encasement that's water, dirt, temperature and humidity tested to military-spec strength. And it's the first set of fitness-tracking earbuds to offer personalized audio coaching on your workout every step of the way, letting you control your music and your training within a single app. 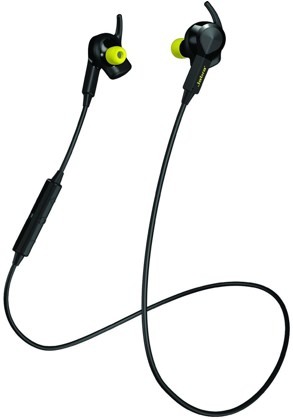 The next generation of Jaybird's ultra-popular X2 model, this new sweat-proof set has enhanced audio (the 6mm drivers offer bigger sounds and deeper bass) and a slimmer profile, that slips comfortably under helmets. We also appreciate the extremely light control panel and the flat, no-tangle cord, which can be shortened with included clips for a snug no-flop fit for workouts. The 8+ hours of play time on a single charge? That's a bonus. 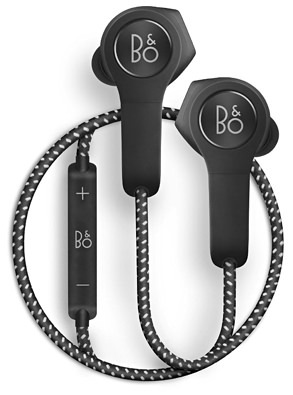 Crafted from handsome and high quality materials, including the braided nylon cord, these have been professionally tuned by Bang & Olufsen's acclaimed sound engineers to offer rich, immersive sound. And when not in use, they rest comfortably around your neck by magnetically clicking together to power down and save the battery. 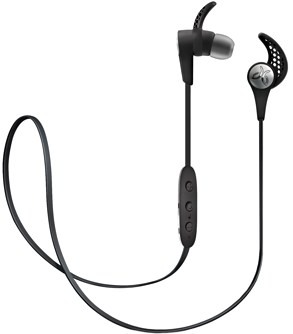 By far, the most feature-rich of all the models we tried, these comfortable and waterproof earbuds can, of course, stream audio from iOS or Android devices, but also have enough internal storage for 1,000 songs—which means you don't need to bring any device with you to work out. Plus, integrated sensor technology tracks activities like heart rate, steps and duration. 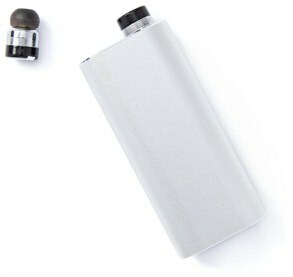 Schatzii's Bullet 2.0 is a sturdy set of Hi-Fidelity stereo earbuds that provide crystal clear music and voice audio with active noise reduction. 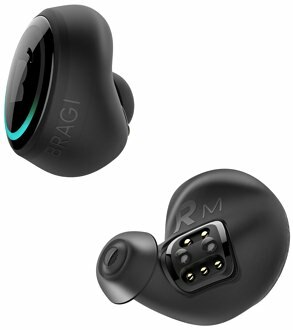 These also boast the title of "the world's smallest bluetooth earbuds," along with a three hour battery life (with the high-capacity case offering a dozen full charges). One of the pioneers of true wireless earbuds, Earin's been making them since 2014. These lightweight headphones come in an equally light and portable aluminum charging capsule. The buds themselves have a competitive battery life and impressive sounds thanks to high-precision balanced armature speakers and dual dedicated amps. When Apple announced the iPhone 7 (and the death of the headphone jack), they introduced the new easy-to-connect AirPods. After a slight delay, they're now on sale and getting pretty stellar reviews. The summer's best headphones, as chosen by jet-setting DJ Brendan Fallis.